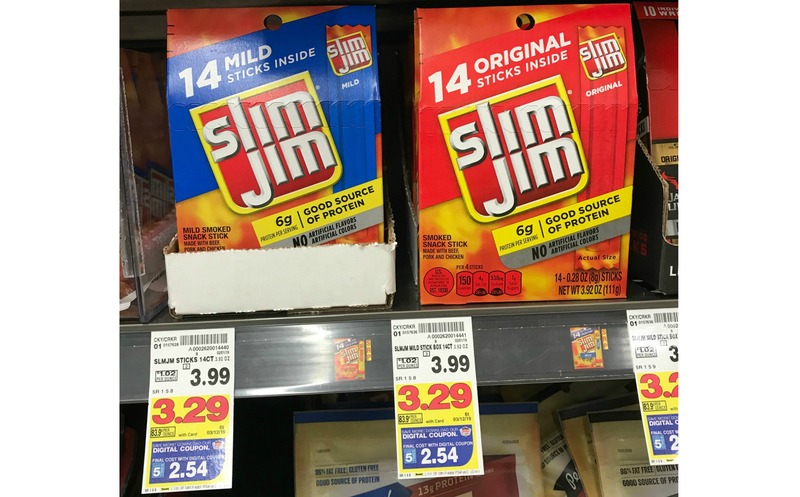 Slim Jim Sticks (14 ct) ONLY $2.54 at Kroger (Reg $3.99)! 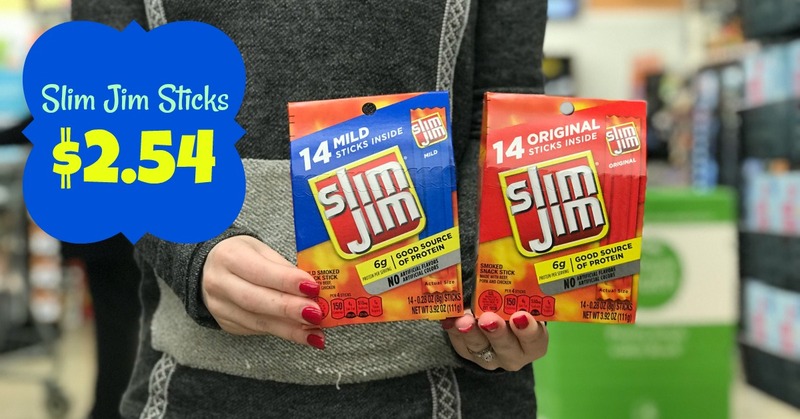 One of my favorite items to munch on are Slim Jims. That and any jerky! I don't know why but I do! So when I saw this price I waned to share. Regularly priced at Kroger for $3.99, we'll pay only $2.54! This coupon is a limit 5, so keep that in mind (for the kids and for you!! ).